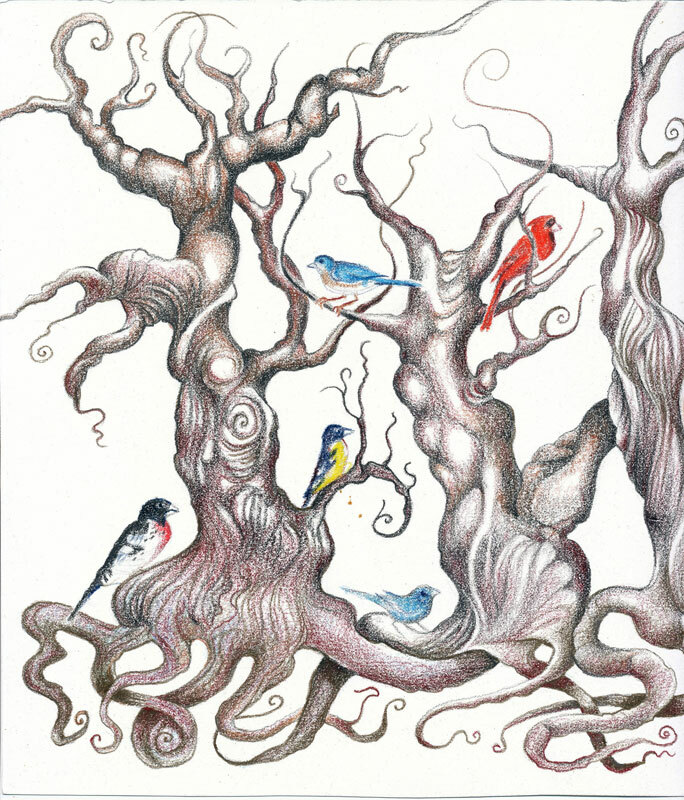 Garden Thoughts is a “Daily Something” drawing. In this piece, I used my brand new Prismacolor watercolor pencils. They’re very nice, soft and easy to manipulate with water and brush. A very strange image that I was working on before I had surgery. Maybe I was anticipating some unusual happenings. 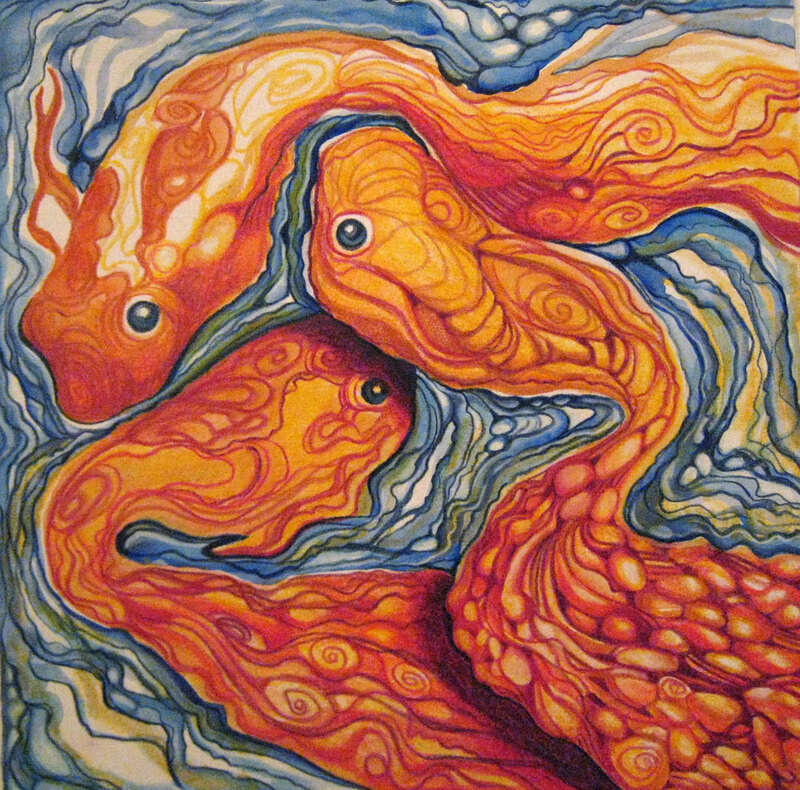 Strange Things (watercolor & Prismacolor). 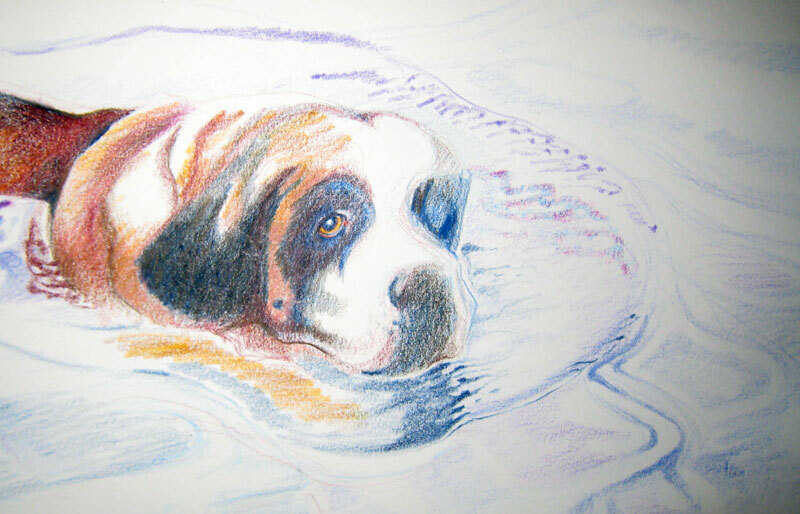 This is a detail & the beginning of a Prismacolor drawing of our late dog Minnie swimming in Lake D’arbonne. 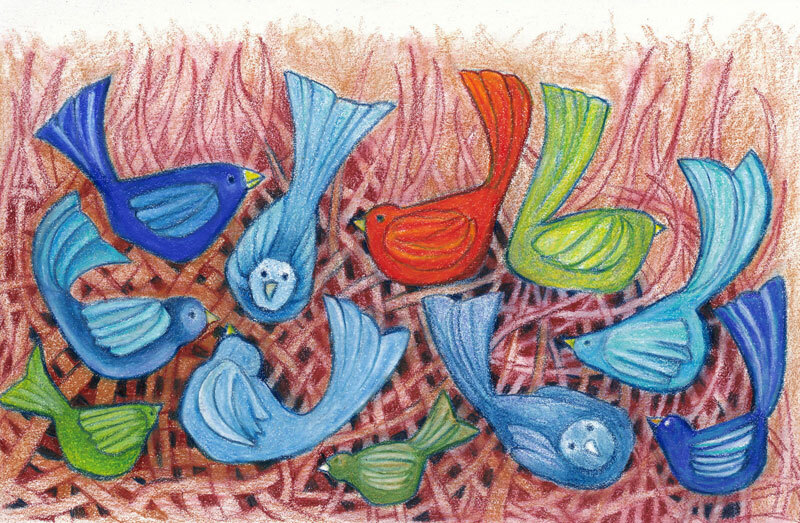 I am very reluctant to trace, so it’s time consuming to draw the image out lightly first from a small photograph. The water will be a challenge because I’ve actually never done a specific drawing of water. 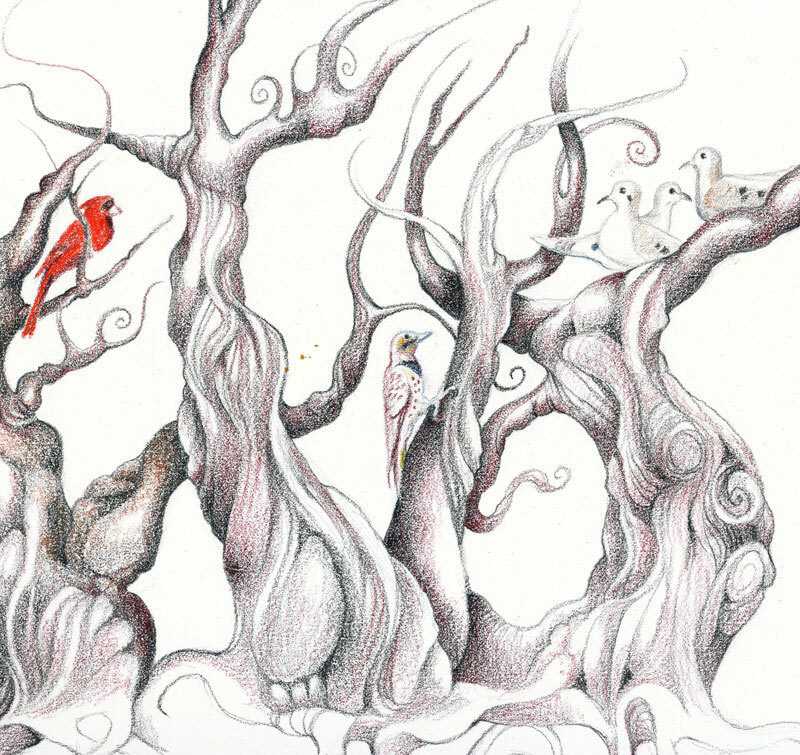 Many colored pencil artists trace their image first, but I just can’t bring myself to do that, so the drawing will require a lot of analyzing as I go. I was trained to “visualize” the image on the paper first, before making a mark, and that’s how I continue to work. It’s actually very “zen” and relaxing. 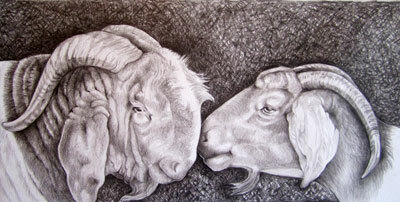 Love Goat is a graphite drawing, finally finished, and framed beautifully by my friend Donna. It’s currently hanging at the River Gallery, West Monroe, Louisiana, but it’s waiting to see if it was accepted into an upcoming exhibition.